In the UK there are a growing number of people with mobility issues across a variety of age brackets. According to the Department of Work and Pensions, there are more than 11 million individuals who have a limiting long-term illness or disability. These figures include 6% of all children, 16% of working-age adults and 45% of those who are over state pension age. Fortunately for those individuals that live with a long-term impairment or mobility issue, life can be made a little easier with some modifications to the daily routine. We’ve already spoken about some of the benefits of installing a walk in shower or wet room when you have mobility issues. 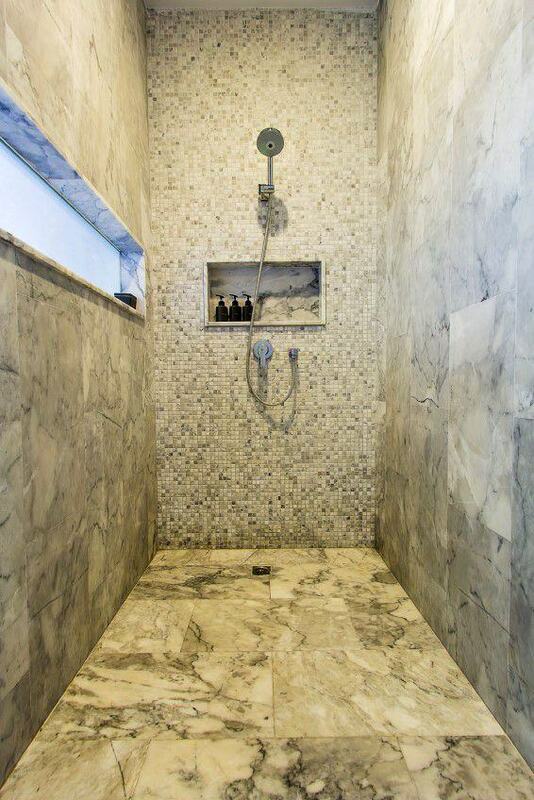 However, there is an array of other positive repercussions that come with incorporating a walk in shower into your home, alongside those that we have already mentioned. First and foremost, it’s important to consider that walk in showers were specifically created for the elderly or less mobile who are unable to climb over the side of a bath or over a large lip that may accompany a cubicle. With this in mind, the low-level access of a walk in shower tray means that a range of people are able to use this style of shower, and carers are able to assist with washing if required. Having mobility issues can often make everyday tasks, such as washing, a lot more difficult than for members of the population without an impairment. But not everything has to be a challenge. If you are a wheelchair user, for instance, having a shower without a lip will enable you to use a shower wheelchair to bathe each day. For those who are still able to walk into and out of a shower, not having to step up into a cubicle will prevent strain if you have limited mobility in your hips and legs. Furthermore, there is the option of installing a shower seat if you are unable to stand for long periods. Although you may not be considering selling your home within the foreseeable future, it’s always nice to learn that you are adding value to your property if you make any renovations. Incorporating a wet room into your property is popular among an array of house hunters, not just those with a mobility issue. This is because of the ease of use for all people, as well as the minimal effort required to keep it clean. Investing in a wet room is likely to increase the appeal of your property, especially if it is in addition to a standard bathroom. Now that you know about a range of the benefits that come with incorporating a walk in shower or wet room into your property, please don’t hesitate to contact a member of our team to ask any more questions that you may have! Chat started. Session ID: 1556253689. You are now connected to: David M.